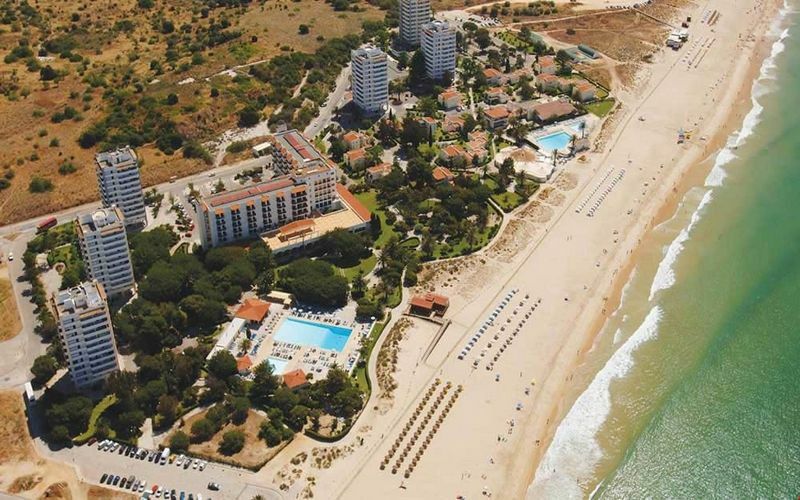 The 4* Pestana Dom Joao II Hotel enjoys a fantastic location as a beach front resort with direct access to Alvor Beach in the Algarve, Portugal. The hotel has a variety of room types available as well as 1, 2 and 3 bedroom villas. Guests of the hotel can take advantage of the excellent Pestana golf courses of Vale da Pinta, Gramacho, Silves, Alto & Vila Sol. Take a short ten minute stroll in to Alvor for plenty of bars, restaurants and night life. Pestana Dom Joao II golf holidays has it all. The complex has 257 spacious and very comfortable guest rooms that all contain air conditioning, Wi-Fi, mini-bar, safe, satellite TV and a balcony with all of the rooms enjoying the wonderful views towards the sea (front or side sea view). Pestana Dom Joao II golf holidays has a great array of facilities you can use during your stay; outdoor salt water pool, pool bar, indoor heated pool, games room, mini golf, diving school, gymnasium, sauna, Turkish bath and Wellness Centre with massage treatments. Relax in the evenings at the restaurant or in one of the three bars (two are only open during summer). Gramacho is an 18 hole Par 71 parkland course that measures 6,679 yards which opened for play in 1992. Designed by Nick Price, Gramacho is a championship course for players of all levels which has hosted the Portuguese Ladies Open on a number of occasions. The course offers natural stone outcrops, historical dry stone walling and existing ancient trees with some artfully sculpted lakes and bunkers. The effect provides a wonderful golfing experience. 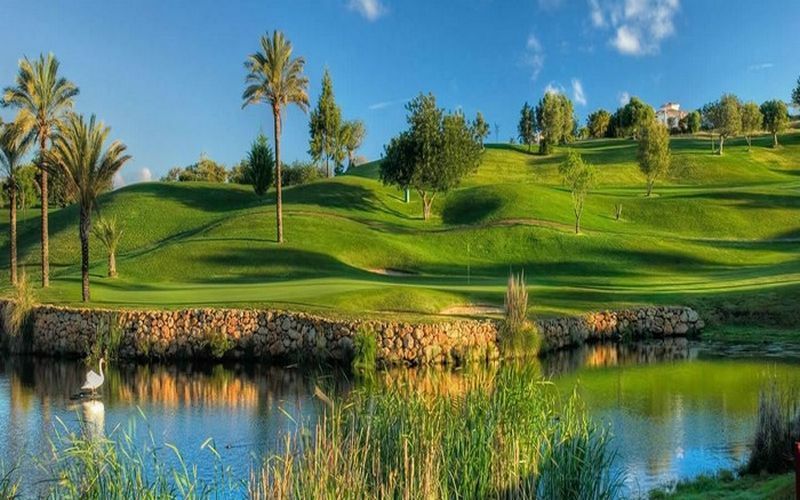 Silves is an 18 hole Par 70 parkland golf course measuring 6,100 yards in length and inaugurated in 2006. 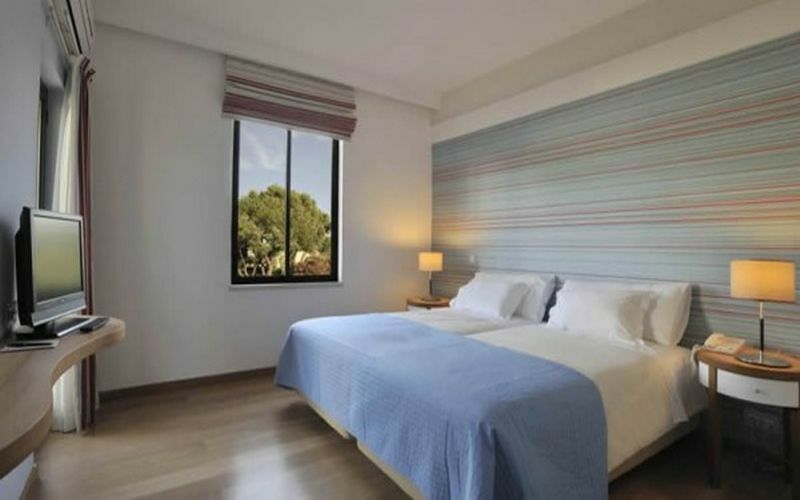 Located in a serene spot at the foot of Monchique mountain. A challenging course from the start, your drive on hole one will flirt with water hazards on both flanks. Players of all levels will enjoy the challenge and concentration required to make your par. The course offers spectacular mountain views overlooking palm trees and olive groves, the surrounding cork and citrus farms generate a true feeling of authentic Portuguese golf. Alto is an 18 hole Par 72 parkland course at 6,698 yards in length and opened in 1997 and offers impressive views across the bay of Lagos. Alto Golf is a legendary Sir Henry Cotton designed course and features the impressive 600 meter par 5 known an the “ Sir Henry Challenge”. 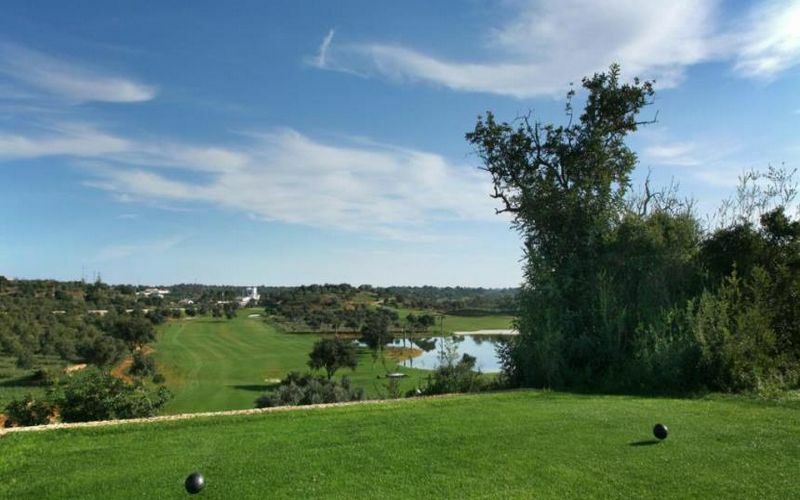 Located on the edge of the picturesque fishing village of Alvor players are treated to rolling fairways and elevated greens which test players of all levels. The mildly undulating greens will test your ability. 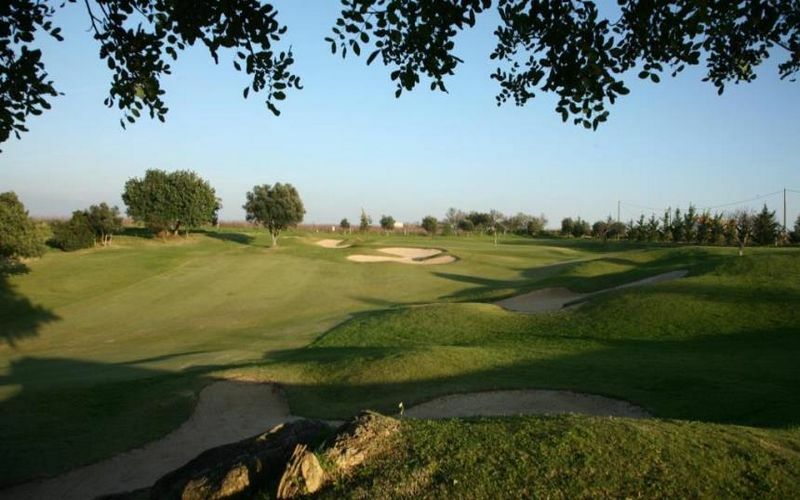 Vale da Pinta golf course is an 18 hole Par 72 parkland course that measures 6,728 yards and inaugurated in 1992. Vale Da Pinta has hosted the European Seniors Tour Qualifying final on eight occasions. The course is known for it outstanding levels of beauty and enjoyment. Designed by Ronald Fream Vale da Pinta has earned its place as one of the Algarve’s best designed golf courses. Players will enjoy lush Bermuda grass, well placed sand bunkers, and greens clad in Pen Cross Bent grass. Not to mention ornamental lakes in a rolling terrain dotted with carob, fig, almond and olive trees, one of which is reported to be over 1,200 years old! Vila Sol golf course has 27 holes of parkland golf designed by Donald Steel that is comprised of three loops of 9; Prime, Challenge and Prestige courses. The courses are deemed to have an appropriate difficulty level to them with Prime being the most demanding, Challenge being the next in line and Prestige seen to be the easiest as it is the shortest course though can be somewhat narrow. Prime and Challenge are seen as the championship layout of the resort. Prime is a par 36 and the longest of the three at 3,544 yards from the yellow tees and requires accuracy from the tee, danger awaits those who are unable to find the fairway. Challenge is also a par 36 and the next longest course at 3,447 yards from the yellow tees with plenty of undulation throughout the course to test your ability. Prestige is a par 36 course that measures 3,414 yards from the white tees with narrow fairways and numerous lakes to be wary of. Pestana Dom Joao II golf holidays offers a fantastic selection of golf courses to choose from during your golf break.